7. If you fall into this category, be sure read your mail carefully over the next 6 months. Don’t throw away any envelopes that look like they could be from the IRS or from the Department of Education. 8. Be sure to apply for financial aid as early as possible next time, OK? To make sure your kid gets the most free money possible to help pay for his or her college, be sure to follow the special FAFSA instructions I explain on pages 228 – 252 of my book. For best results, mark your calendar to read and re-read these page 228 – 252 instructions every September 1 that you’ll have a child in college the following year. This is the only way I have of communicating to you what to do to make sure your child gets maximum help paying for college. 9. 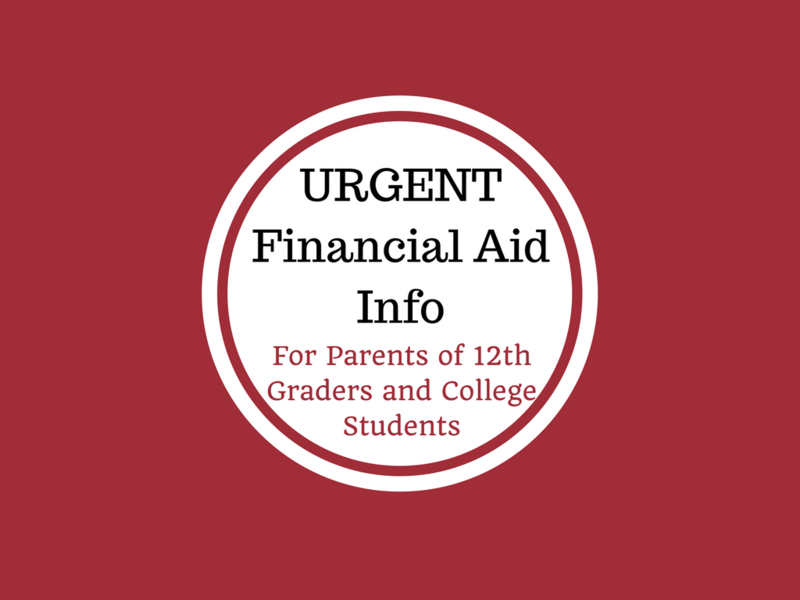 To learn more about financial aid than your child’s guidance counselor will ever think to tell you, read the article I’ve written here. 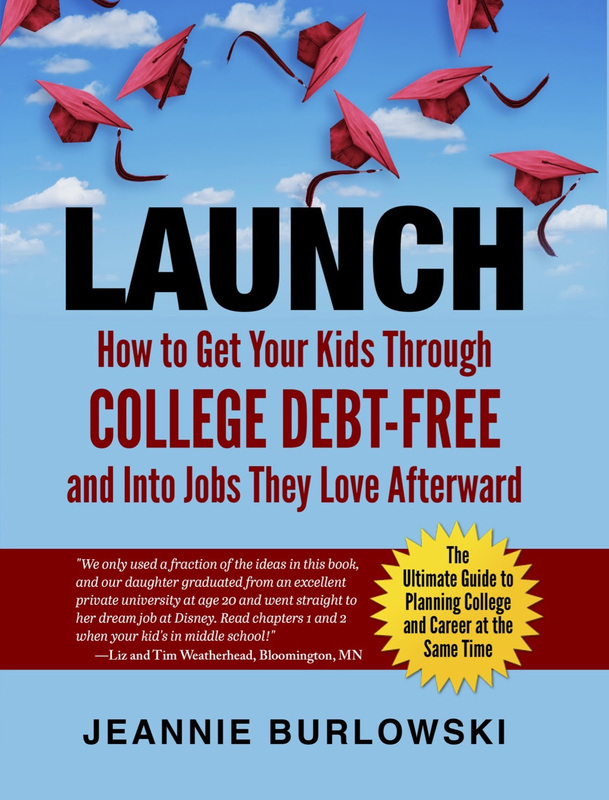 It’s a fast, easy read, and it’ll give you great hope that you can set your kids up to get maximum financial aid for college. Taking care of this may be cumbersome and tedious, but it’s important. There is no part of parenting more important than setting your kid up for successful college and career life. Get full help from me by getting my book. It contains much more info than just maximizing financial aid and getting scholarships. Do you have friends who are parenting kids ages 16 – 24? SHARE this post on Facebook, Twitter, and LinkedIn right now. What about you? Has the IRS mailed you telling you that your identity has been compromised following use of the DRT? Comment below or LIKE Jeannie Burlowski Author on Facebook, find this post on that page, and let’s talk about it there. when is your next strategic college class? The class you want will be presented live in Minneapolis on August 15, 2017, and then online for everyone in the country on August 26th. (Perfect for kids age 12-26 who want to start the school year off right!) But you have to get the sign-up links out of my email newsletter. Thanks for asking! Sonya, here are the info and registration links for THE STRATEGIC COLLEGE STUDENT class. Just released yesterday!